We’ve seen plenty of footage from the four new characters headlining Square Enix’s incoming sequel, Bravely Second, but what about the four personalities we fell in love with during the first game? We do know that the Vestal of the Wind and the world’s savior, Agnes, has been kidnapped, and her rescue by Magnolia and the Three Musketeers is the central plot point which kicks off the action. Bravely Default’s main protagonist and most charmingly cliche character in history, Tiz, was also teased in an exciting 3D video that can be best enjoyed through the game’s menu screen. Those who can count should be able to tell that this still leaves two unaccounted for: the stalwart Edea and amnesiac lady’s man Ringabel. 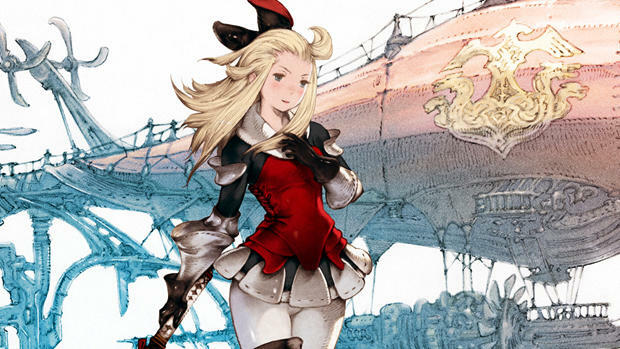 Not to worry, because Edea has been confirmed as the latest returning face in Bravely Second. Producer Tomoya Asano made the announcement today during a livestream event shortly prior to her appearance in a Famitsu spread. 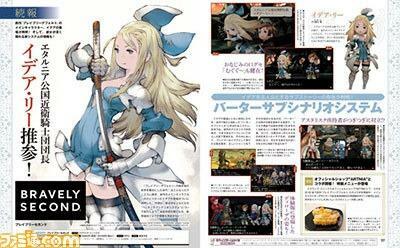 The spread, translated by Siliconera, states that Edea has taken over the role of her father as the leader of the Imperial Guard knights, but it doesn’t confirm her as a playable character. It merely states that she is a “main” character. Always nice to see a familiar face. Now we just have to wait and see in what capacity Tiz shows up and if Ringabel even shows up at all. As the character with the most twisted and mysterious origin story, I’m not sure how the events of Bravely Default will make room for him to exist in this world. At any rate, if Bravely Second expands the cast into more than four characters, I am hoping composer Supercell comes up with an incredible Special Ability theme for each of them. Those were easily the highlights of an already masterpiece soundtrack. Bravely Second will be released for the Nintendo 3DS in Japan on April 23. No official announcement on the English release, but Asano has teased its existence.